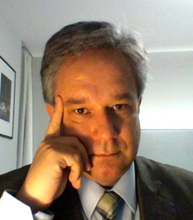 Luis Anido-Rifón has a Telecommunication Engineering degree with honors (1997) and a Telecommunication Engineering Ph.D. with honors (2001) from the University of Vigo. Since 2009 he is a Full Professor with the Telematics Engineering Department and serves as Director of the Innovation in Education Unit of the University of Vigo. His current areas of work focus on the application of ICT for the provision of e-services. Highlights include e-learning, e-government, educational technology standards and specifications, the semantic web, service customization and interactive TV applications. Within the scope of standardization of educational technologies, it is worth mentioning that he is technical secretary of the AENOR CTN71 SC36 group, representing Spain in CEN TC353 and ISO JTC1 SC36, director of the CEN Learning Technology Standards Observatory (LTSO) and author of five CEN Workshop Agreements CWA). He has received awards as the lead author of works presented at the prestigious World Wide Web Conference organized by the W3C in its 2001 editions (Highlight Paper) and 2002 (Best Paper Education Track). Other prizes received have been: Young Researchers Prize of the Royal Galician Academy of Sciences, Prize for the Best Doctoral Thesis of the Official College of Telecommunication Engineers, Extraordinary Prize of Doctorate and End of Career Award of the Ministry of Education, etc.